The Classic Cherry Picking Failure. In the days of sail, it’s likely that if the storm was powerful enough, the ship wouldn’t have survived to make a report. Excellent stuff Paul, they dont like it up em. If that is really Halpern’s best effort,surely it is time for him to choose a different subject, more suited to his talents. You should know by now, Paul, that you are only going to upset them if they use something they don’t understand – like facts. I’ve had a few “discussions” with him over the years. Bright fellow, but his views on so-called climate change allow him to deviate from facts until caught. He really should know better Paul before he takes on the truth tellers but then again – they don’t – know any better, do they? Paint another 1 on the fighter jet cone Paul and have a victory roll too! Where did the name “Eli Rabett” come from? They’re not sending their best, are they? What definition of ‘climate change’ is in use here? 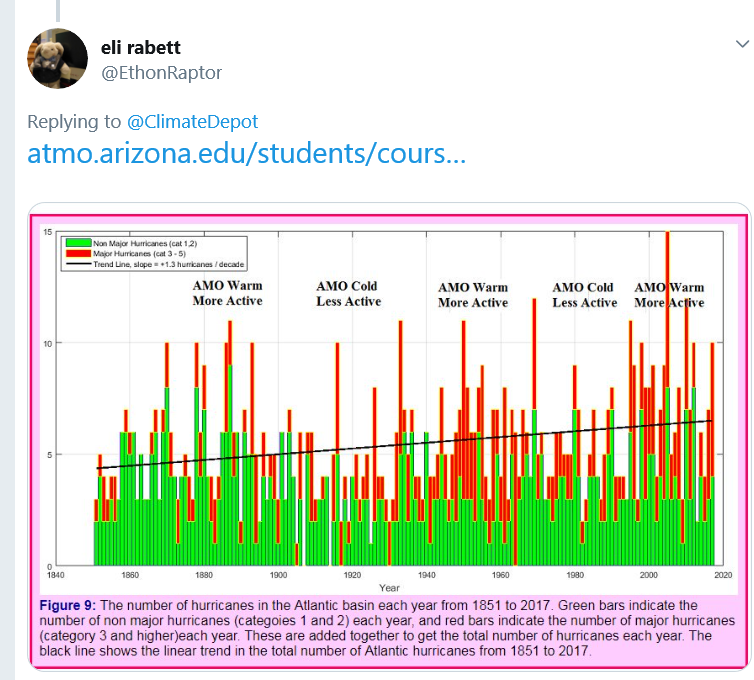 Ups and downs in Atlantic hurricanes is not climate change under any recognized definition of climate. Indeed, ‘climate change’ is just a slogan, devoid of meaning. This doctor is like so many throwing in their four penneth on a regular basis. We had a saying for it years ago: “urinating before they have their flies open” no engage eyes and brain before opening mouth. 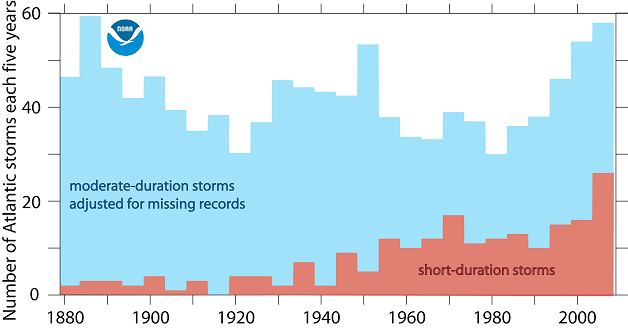 are just two in an increasing number of papers in the scientific literature (peer reviewed and published) mapping the sun/tropical-cyclone/typhoon/hurricane relationship. CO2 and any of man’s other emissions feature not at all. The sun, rather the Wind from the Sun; the Solar Wind, is being fingered as the guilty party wholly responsible for not only the occurrence of such weather but also its strength. At this rate, forecasting and tracking will become ever more accurate. In the mean time, rest assured the Oil Companies are truly blameless.